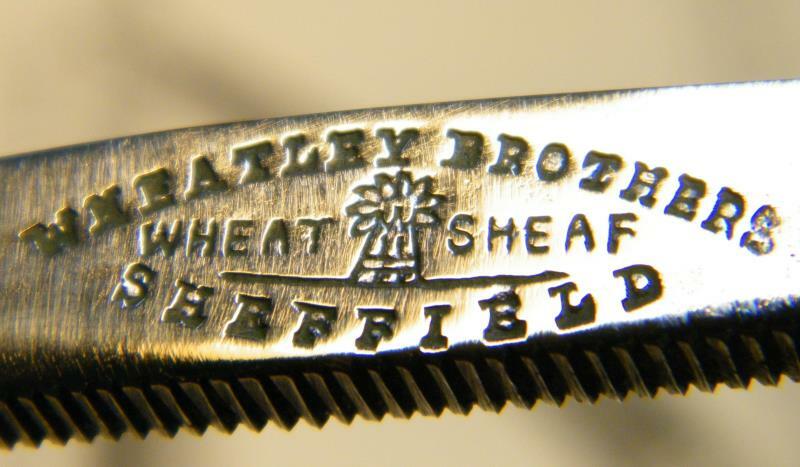 STRAZORS.com - all about classic razors - Wheatley Brothers, Sheffield. This firm was established in 1878 at Eclipse Works, New George Street, by William Thomas Wheatley (1846-1912) and his brother, Samuel Villies Wheatley (c.1840-1887). They were the sons of Nottinghamshire-born John Wheatley, who settled in Sheffield and established a company for manufacturing mineral waters and cordials. In 1881, Wheatley Bros employed 147 workers. However, two years later the New George Street factory was destroyed by fire. By 1893, Eclipse Works was situated in Boston Street, off the London Road, in Little Sheffield. In 1897, it took over the electro-plate business of Abraham Blackwell. 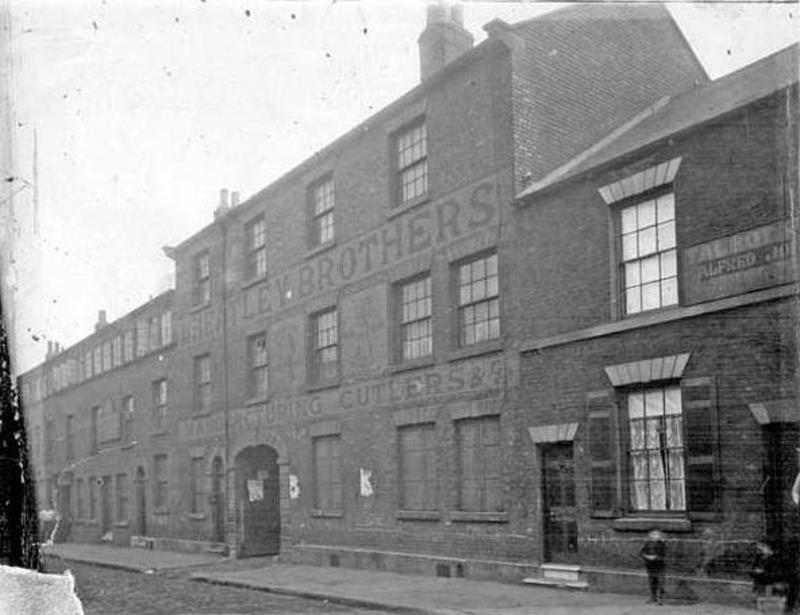 About 200 workers were said to have been employed at Wheatley Bros by 1900 (when the business relocated to Wheat Sheaf Works, John Street) in the manufacture of cutlery, scissors, razors, and electro-plate. Like many other plated wares firms, Wheatley Bros benefited from the Victorian consumer boom. It was a leading supplier to hotels of table cutlery, tea services, entree dishes, electro-plate on best nickel silver, toast racks and spoons and forks. A silver markwas registered in Sheffield in 1892. 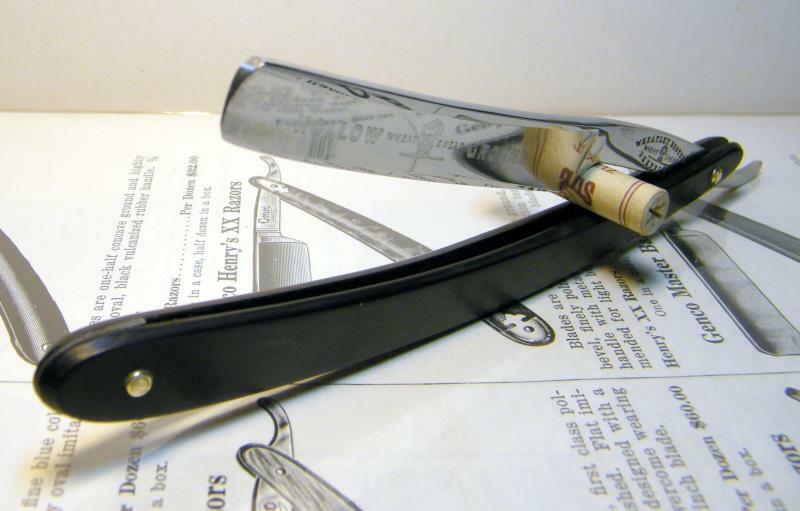 It also sold saws, files and joiners' tools; and traditional pocket knives and hollow-ground razors in competition with the Americans and Germans. W.T. Wheatley was a keen trademark defender and supported the idea of a national trademark for British manufacturers. Wheatley Bros' own mark was a sheaf of wheat (pic. ); and a man with an ensign above the word "Estandarte". W.T. Wheatley died on 4 May 1912 and, like his brother Sam, was buried in Ecclesall. The firm became a limited liability company under his sons William Ernest Wheatley (1874-1931) and Frank Villiers Wheatlay (1874-1924). In 1936, Wheatley Bros ceased trading and its marks were acquired by Needham, Veall & Tyzack, Milton Street.